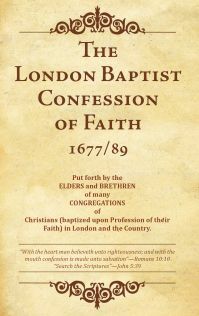 We subscribe to the 1689 London Baptist Confession of Faith. The chief purpose of Christ Bible Church is to glorify God. This is to be accomplished through the promotion of His worship, evangelizing the lost, and edification of the saints. The scriptures teach that we are to be salt and light and that we are to propagate the Gospel by all legitimate and scriptural means possible. This starts with each person's individual relationship with God, then with our families, fellow members of the body, and finally to the ends of the world, as the Lord may lead and enable. Moreover the church is to promote holiness of life among the members and to edify itself in love - to the end that God will be glorified in and through His church.